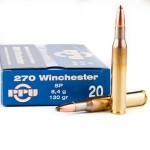 .270 Winchester ammunition was introduced in 1925 but initially failed to gain much traction. 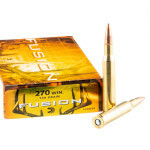 It proved something of a sleeper hit, however, as improving bullet technology enabled .270 Win ammo to achieve its full potential and bring down everything from coyotes to elk and moose. 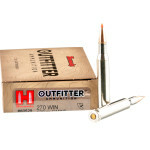 Jack O'Connor, a former college professor, avid hunter, and renowned writer for Outdoor Life, is widely credited with increasing the popularity of this cartridge in the mid 20th century. 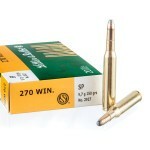 A very flat shooting cartridge, the .270 Winchester is well liked for its terminal performance, and relatively moderate recoil. 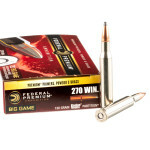 A typical round of .270 Winchester ammo fires a 90 to 160 grain bullet at a muzzle velocity of 2,800 to 3,600 feet per second. 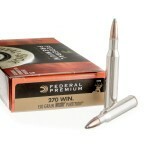 The heaviest bullets are typically reserved for elk other large game; against such targets, their deeper penetration is crucial. 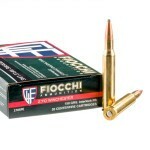 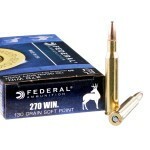 Lighter bullets excel against coyotes, raccoons, and other varmints, while medium weight ones are used to hunt deer. 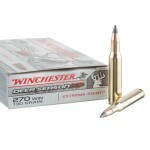 Most .270 Winchester loads fire soft point bullets designed to expand and kill the animal without breaking apart and damaging edible meat. 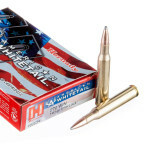 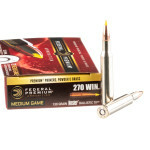 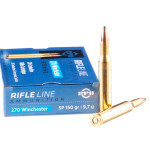 Although it has been dogged by a reputation for mediocre accuracy in the past, the .270 Winchester has benefited considerably from modern bullet manufacturing methods for regular soft points as well as the emergence of ammo firing bullets with polymer tips. 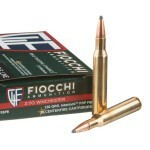 Such projectiles offer enhanced accuracy and more consistent expansion, though they typically cost more than simple soft points. 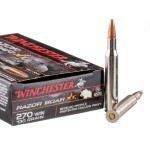 Notable rifles chambered in .270 Winchester include the Browning X-Bolt, Remington 700, 7400, and 7600, Ruger American Rifle, and Weatherby Vanguard. 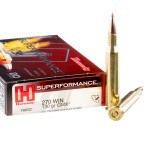 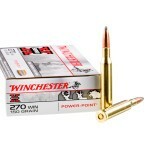 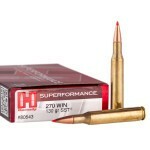 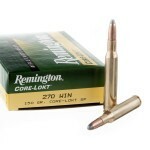 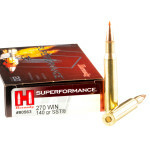 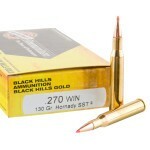 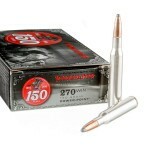 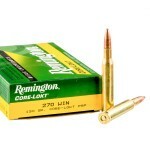 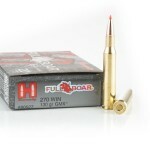 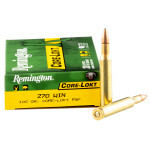 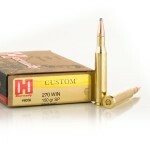 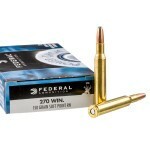 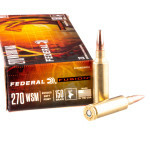 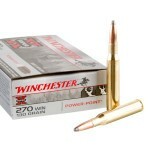 We have the 270 hunting ammunition you need at the cheap prices you've come to expect from BulkAmmo.com. 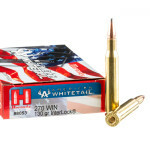 Check out some of the fastest moving 270 Winchester ammo right now and see what serious shooters are stocking up on for their next hunt.